Chicabean Hat Two and Pattern! I know I know! I shoulda been knitting Christmas gifts but I just HAD to have one of these for my very own. Plus I needed to make sure my notes on the decreases were right. They were! I luuuuuuv this so much! Yarn: KnitPicks Swish Superwash in Merlot Heather, I used one and just a tiny bit of the second ball. 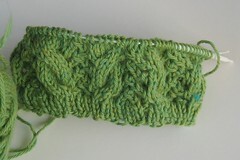 I blocked the green one before I took pics, but I didn’t block this one. I think the Swish Superwash is a bit thicker than the Cascade, but they both look great! The pattern is up Get it Here, Ravelry peeps queue it up here. Thank you to Helen and Lara, who assured me it was ok to write it. 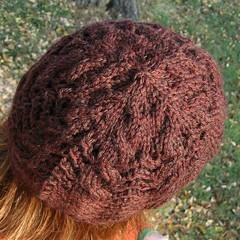 I really love this hat and pattern I’m so happy I was able to write it and share! 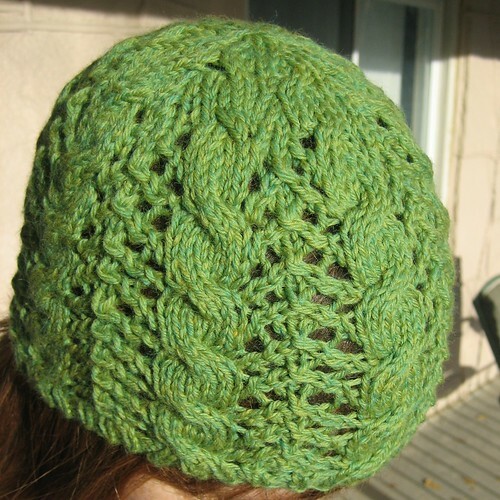 If you make this hat I’d love it if send me a picture or a link! I want do a gallery of other peoples FO’s for it. I’m supa proud of this pattern. Love it! Hands down, no doubt about it! 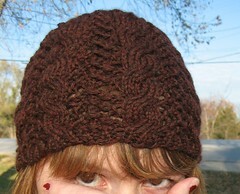 Initially I worked out the pattern for this hat so I’d have a hat that matched the scarf. Little did I realize how much I’d like it! 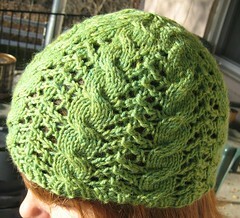 I really love the combination of the cables and lace and how the decreases worked out. Even with writing and working out the pattern this only took me two days. I think I’ll make myself one in red. 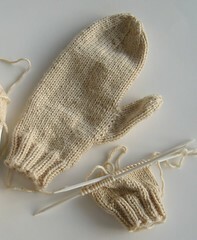 I like that it’s warm but not too warm and I think it will look as good in cotton as wool. 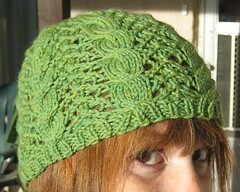 I took notes and I’m planning to write up the pattern for this hat too. 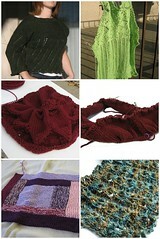 If anyone’s interested let me know and I’ll let you know when I get it up here on the blog and on Ravelry.